Santa came and had a wonderful prime rib dinner with us on Dec. 21. Then he handed out goodie bags and helped with the gift exchange. He also went for a ride on the bus and took goodie bags to the people who get home-delivered meals. Thanks, Santa, hope to see you next year. The saleroom is all cleaned out and ready for the Spring and Summer sale to move in as soon as the carpet is shampooed. Happy New Year from all of us at the Senior Center. 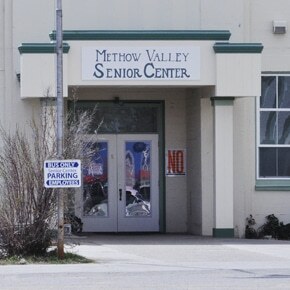 The Senior Center is located next to the Methow Valley Community Center on Highway 20 in Twisp. Lunch is served at noon by the Okanogan County Transportation and Nutrition Program on Monday, Thursday and Friday. The suggested donation for lunch is $4 for seniors over age 60; the cost is $8.50 for those under 60. 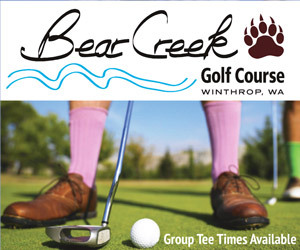 Annual membership dues are $1.25. Transportation is available locally for the senior lunch program, and for monthly trips to Omak/Okanogan the second Tuesday of the month and to Wenatchee the third Tuesday of the month. Call 1-800-635-4391 for additional details. THURSDAY, JAN. 3: Clam chowder, egg or tuna salad sandwich, kale slaw, tropical fruit, dessert. FRIDAY, JAN. 4: Meatloaf, potatoes and gravy, buttered peas, green salad, peaches, whole wheat bread or roll, dessert. MONDAY, JAN. 7: Sweet-and-sour chicken over rice, stir fry vegetables, cabbage and apple slaw, tropical fruit, whole wheat bread or roll, dessert. THURSDAY, JAN. 10: Chicken cordon bleu, wild rice, cooked carrots, garden salad, Mandarin oranges, bread pudding. FRIDAY, JAN. 11: Polish sausage on a bun, sauerkraut, pea salad, peaches, dessert.